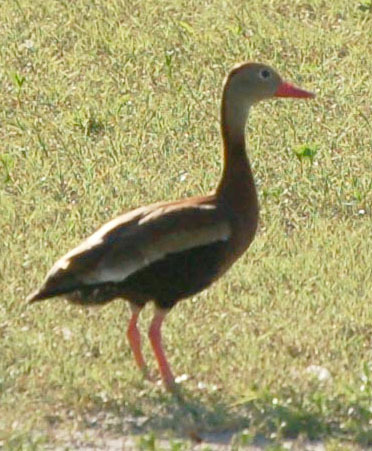 I've lived on the Gulf Coast for over 50 years and until April 2007 had never encountered a black-bellied whistling duck. A search on Google quickly provided the ID. 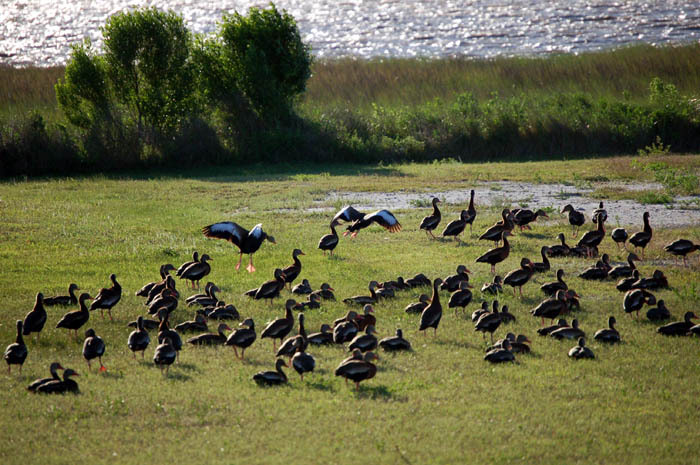 This one was with a group of about 50 that had landed at Indian Point. Copyright 2007 - IndianolaTx.com - All rights reserved.